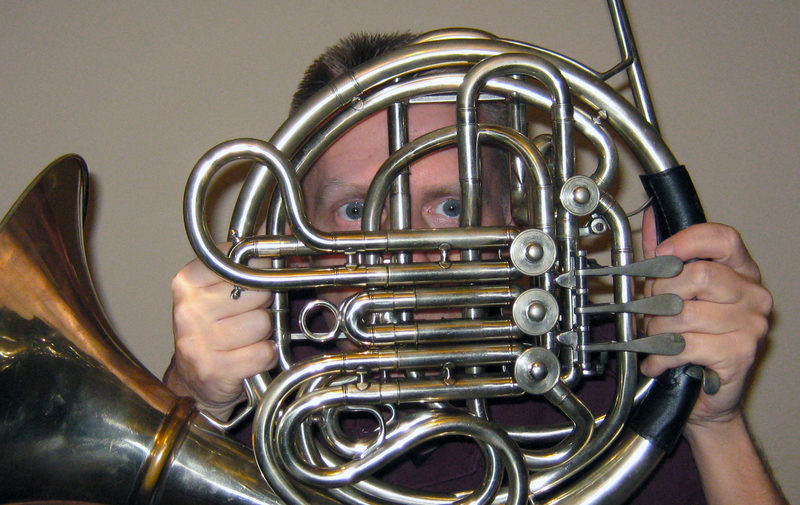 ← So You Want to be a Professional Hornist? Crossing the Line. Hornist Behind Bars. Before continuing one moment reading this blog post I would like for you to read David H. Thomas’ post at The Buzzing Reed. David, who I met online via Twitter, is Principal Clarinetist of the Columbus Symphony in Ohio. You will enjoy his thoughts and writing. My post will have more meaning after reading his post My Practice, My Life. Breathing Clarinet Air. Thank you for coming back. I do hope you enjoyed David’s posts, as I know I did. Please check out his other blog posts, videos, and audio files as his thoughts and openness on playing and the “behind the scenes” world of practice are rare. Musicians do not often share their thoughts on practice and preparation. This world is somewhat intimate as we bare all working on the music for performances. David has found something that I feel is quite elusive for many musicians. What he has found is something I gave up on some 10 years ago. This elusive item is not something a musician needs to perform, but I feel it is something we need as a person, as a musician, and as a being in this world. I know what is running through your mind, “What is so elusive for musicians and is it really important”. Yes!! It is elusive and important not only for musicians, but for all of us. Musicians spend countless hours practicing and preparing for performances. The expectations are extremely high in the professional music world. Perfection. No missed notes, beautiful phrases, gorgeous interactions as musicians exchange musical thoughts. Perfection. The expectations are so high and we musicians become so entwined with doing what we do. We perform because it is what we do. Just like you get up each morning, grab a quick shower and something to eat while driving to work, and then work. You do what you do. I, too, fell into this so many years ago and gave up trying to cross that line from doing to being. I had performed because it was what I was supposed to do. I am a clarinetist after all. It’s what I do. Please don’t misunderstand. I have never hated performing, only misunderstood the larger picture of why I do what I do. The above statement hit me like a hammer. We musicians do what we do and that is perform, but there is so much more and I see how this applies to my past, present, and future musical world. Eyes wide open I now see. I also feel you are wondering what this is all about. Is this not some reiteration of what David so eloquently wrote? This applies to my own world with this brief bit of my past. In December of 1998 I awakened one morning and did not wish to go to rehearsal. After 10 years with the Air Force Band program I wanted to stay in bed, sleep, and not do anything. Being in the Air Force Bands is quite prestigious and I did not want to go rehearse on the instrument that I had spent my life studying. After 10 years of traveling the world and being honored to perform for so many leaders of our world, and most importantly, performing for the people of the world. What an honor. I was tired. I just wanted to stay home as I was the hornist behind bars unable to cross that line. Unable to cross that line into being all that is. Music and the musician world is so much more than practicing perfection. We have lost so much in reaching for this goal. I lost. I gave up on the climb to that mountain top that David mentions by letting the stress of perfectionist practice and performance, hundreds of performances each year, and the hours of travel grab hold and throw me down the mountainside. I had given up on climbing the mountain and placed my horn in its case. I left the mountain growing smaller, and smaller in my rearview mirror. So much has happened in the years since that day. After reading David’s thoughts I am now looking for that mountain that I left so many years ago. Yes, I have played since that time as a professional but still with the thought of it being what I do. Each year I would accept fewer students and performances. Now, I have turned around. Want to face that climb and I am looking for that mountain. Ready to fight and cross that line. Being a musician and being a person in this wonderful world is so much more than doing what we do. We must live every moment. Remove the perfectionist thoughts and enjoy. Follow me if you like. See you at the top. I am looking for my mountain from so long ago. With arms wide open to embrace that which I let toss me aside. Ready to enjoy all that is. I hope that you too will open your mind. Do not do what you are suppose to do, but love what you do. I am going to breath horn air, and I hope that you breath that which is yours, and enjoy all that is around you. Happy day to everyone. What a moving and well-stated article. Your career in a prestigious band makes the point well. Though we are revered, it doesn’t necessarily mean we are fulfilled on a personal level with our instrument.